Or as we say, Chicargo. 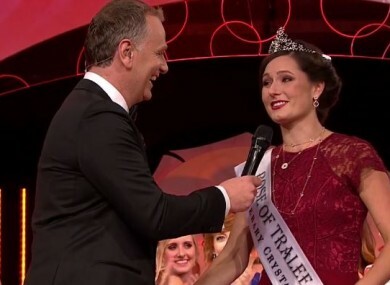 The 27-year-old, who was one of the bookies favourites, beat 61 other competitors to be crowned Rose of Tralee. It is the first time the Chicago Rose has won since 1987. McEldowney, who has roots in Co. Derry, works as a high school development director. She has proven a popular choice with viewers at home. What a day for the village of Chicago, eh? Email “The Chicago Rose has just been crowned the Rose of Tralee”. Feedback on “The Chicago Rose has just been crowned the Rose of Tralee”.